Four iconic Sphinx statues guarded the two main entrances to the Syria Mosque along Bigelow Blvd. These statues were taken from the site and preserved by the Shriners before the Syria Mosque was demolished. 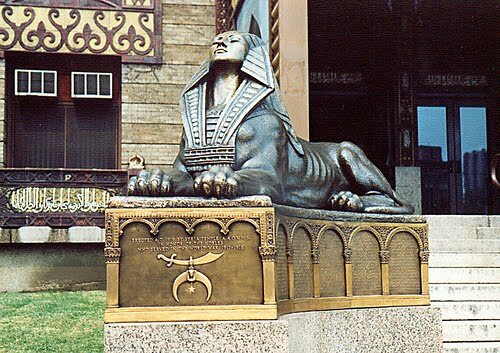 The Sphinxes now adorn the entrances to the Shriners’ new home in Cheswick, PA.